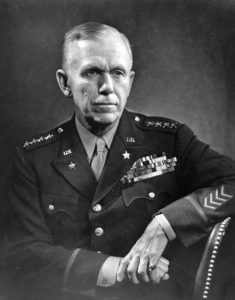 George Marshall – Dan R. Olsen Jr.
George Marshall is one of the most underappreciated generals in American history. He never generalled armies in combat and fought no battles. His role was to organize the vast resources of the United States to win World War II. He is frequently slighted as a “managing general”. However, his vast personal integrity and dedication was respected by all. He was able to bring together huge egos so that collectively the war might be won. MacArthur never could have done it. He protected Eisenhower so that he could succeed. I really like the topic, but I lowered the rating because the authors kept dropping out of their story to prove their credentials as historical skeptics. It is so easy to pick at flaws after the fact and they succumbed to this temptation a little too often.